“No one goes to work expecting to get hurt, sick or killed. But in New Zealand, far too many people do. On average, 75 people per year die on the job, 1 in 10 is harmed and 600 – 900 die from work-related diseases — all coming at a cost of $3.5 billion per year. Employers in New Zealand will have greater health and safety responsibilities after the Health and Safety Reform Bill becomes law in the second half of 2015. This means that businesses will need to start taking steps right now to prepare for the new law. Key Changes Arising From the Health and Safety Reform Bill. Increase the responsibilities of duty holders, known as PCBUs (Person Conducting a Business or Undertaking), for a healthy and safe workplace. Greater requirement for proactively identifying and minimising risks and hazards. Cost is no longer an equal consideration when assessing what is reasonably practicable when eliminating or minimising risks. Ensuring that health and safety systems are understood and applied correctly within the workplace. These duties are considerably more onerous than those under the current Act. The Health and Safety Reform Bill strengthens worker engagement and participation in work health and safety matters. Every workplace participant has a statutory duty for health and safety and must take reasonable care to fulfil that duty. Health and safety representatives can issues notices, and direct unsafe work to cease. Workers can also cease unsafe work. It was determined that the current penalties under the existing Act are too low and the range of compliance and enforcement tools available to inspectors too limited. The Health and Reform Bill widens the scope for persecution of offences and penalties will be substantially higher than existing. Companies could also be required to pay the costs of investigation and prosecution, which could be substantial. Impact of the Health and Safety Reform Bill On Your Business. 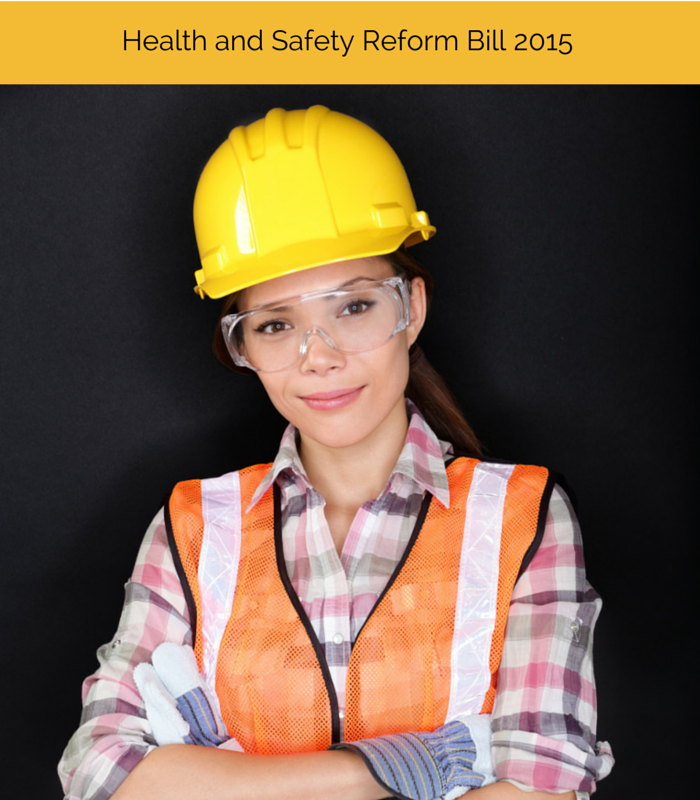 Increased knowledge of health and safety hazard and risks. Improved internal health and safety processes. Documenting and implementing processes to minimise and eliminate workplace health and safety hazard and risks. Creating processes around receiving and considering information on incidents, hazards and risks. The Health and Safety Reform Bill represents a major change in workplace health and safety practice in New Zealand. Has this post about the Health and Safety Reform Bill been helpful? Please SHARE so that others can enjoy it too.